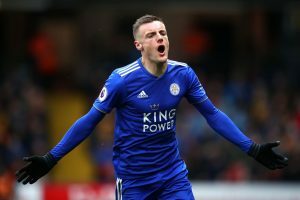 On Friday night Leicester 7th place in the Premier League Will face Newcastle 15th place the two teams have different goals at this stage of the season because while the home team is looking for points to qualify for European competitions, and the 7th place he is at this moment can provide him with access if Man City wins Watford in the FA Cup final. Leicester arrive at this extremely moralized game with 4 wins in a row that made the team up the league table, this rise of form is achieved after joining the team of Rodgers, who replaced Paul in early March, this coach starts less well with a 2-1 loss to Watford, but since then he has won all the games ahead of the team, has scored 12 points in 5 games, were scored 12 goals in 5 games (gives an average of more than 2 goals per game) and suffered 5. Rodgers takes the pressure off his players when he says that European competitions are not important and he just wants to build a good base for next season and play well against his fans. Newcastle on the other hand is in a less good phase, comes from 3 games without winning and lost the last 2. It is 7 points above the water line, n, this stage this distance can guarantee you the maintenance, however knowing the competitiveness of the Premier League would be important the team score. It is notorious the difficulty of this team to play away from home, having won for the last time on December 15, from here only achieved 3 draws. Rafa Benitez believes that this will not be a problem, and that he has ahead 5 finals in which the team will enter motivated and prepared to gain points. This team scored just 31 goals in 33 games, which means that it is a team that has a low average of goals, which is certain is that it also does not suffer many goals, having conceded 35 goals in that same 33, these figures reflect the number of matches in which Newcastle draws away from home, because not being a team with great offensive capacity ends up compensating with a stronger defense. The coach does not have Lejeune and Longstaff. The home team are favorites to win this game, but will face a team that will surely close and should not allow great chances of goals, this makes predicting that the game will have few goals. It is likely that Leicester will win more by the minimum margin.